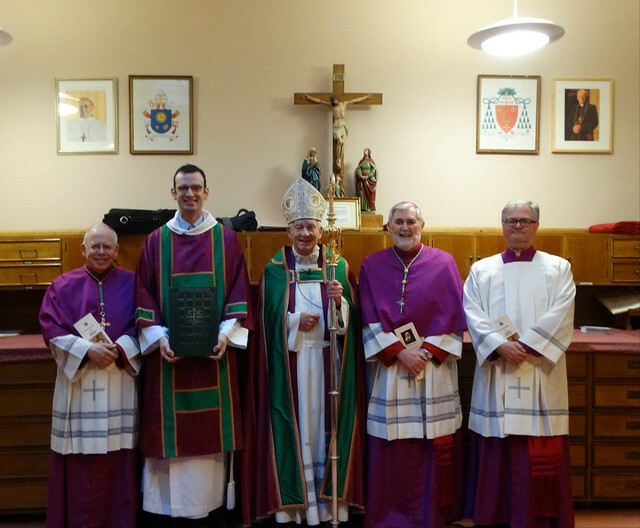 The Archbishop presided, assisted by Bishop Pat Lynch and Bishop Paul Hendricks, along with Monsignor Matthew, the Vicar General and Deacon Phil Harrison, a visiting Deacon who is going to be ordinated later this year. 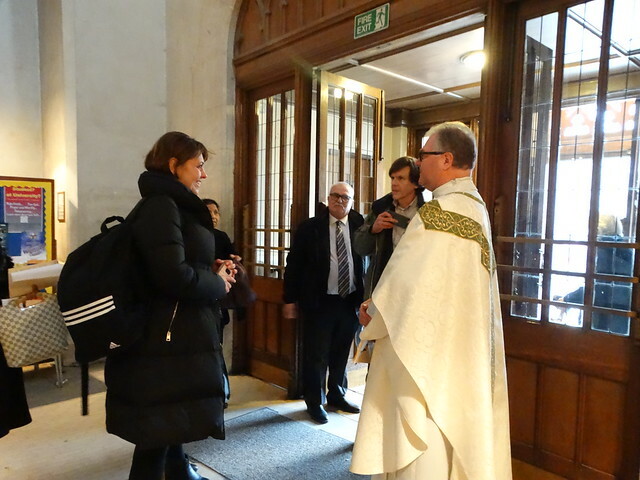 The Archbishop asked for the Book of the Elect to be brought to him in which 204 Catechumens, 25 of whom were under 14, had signed earlier in the Baptistry. 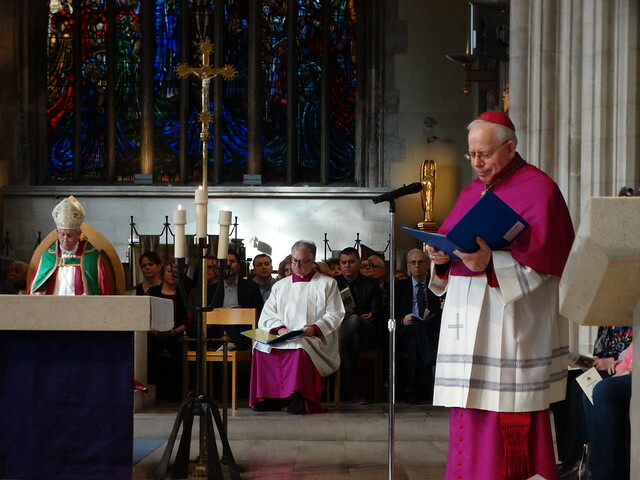 Archbishop Peter thanked the Director of the Centre for Catholic Formation, Dr Mark Nash and his staff, the Cathedral Dean, Canon Richard Hearn and all the Cathedral staff, along with the Diocesan Choir led by Canon Alan McLean and of course the altar servers, from the parish of Eltham along with Peter Morrissey, from the Diocesan Deaf Service, who provided signing throughout the service for the deaf and hard of hearing for making the Rite of Election and Call to Continuing Conversion such a memorable occasion. Accountable to the Director, the job will involve planning and organising specific conferences/events and courses for Kent parish or deanery clergy, catechists and others involved in parish ministry; assisting in teaching/delivery of specific courses; working closely with local clergy to encourage the appointment and formation of local catechists and co-ordinators of particular areas of catechesis (eg RCIA); advising on materials and resources for RCIA, catechesis and adult formation; participating in and contributing to CCF Study and Prayer Days; building good relationships with other diocesan agencies and ecumenical and inter religious relationships. Based in Tooting Bec this role is primarily focused on co-ordinating CCF initiatives relating to evangelization. This will include planning, organising and facilitating special events/courses both at the CCF and for parish or deanery Clergy and/or parish evangelization teams; developing and maintaining a network of local evangelization contacts and encouraging the development of parish evangelization teams; advising on materials and resources for pre-evangelization and evangelization and integrating into the existing inter-diocesan networks for evangelization and home mission. 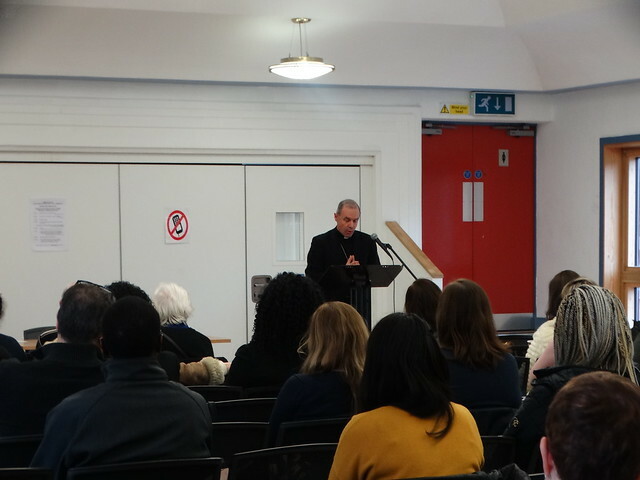 On Friday 2nd February, Fr John Muilligan (Morden Parish), who is heading up Southwark's approach to Adoremus, led a meeting of parishioners who will attend the National Eucharistic Congress in September this year. 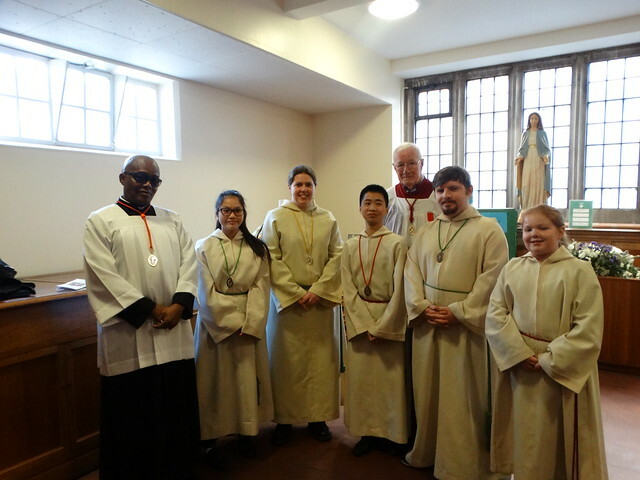 This was an opportunity for the delegates to learn more about the nature of the event, to socialise together and to learn about how they can bring the fruits of Adoremus back to their parishes and wider communities in due course. 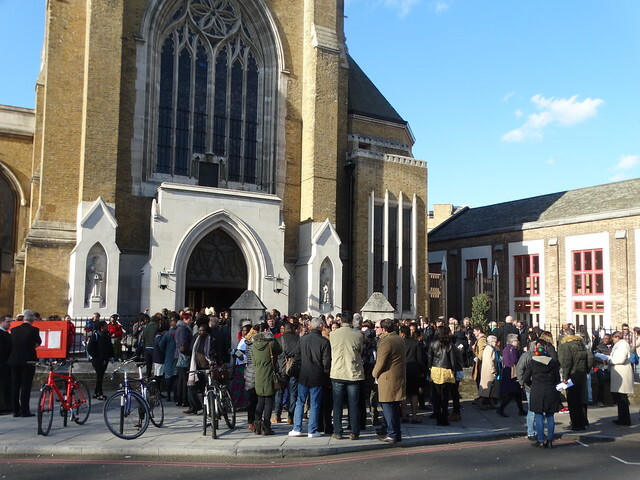 The next meeting for delegates will be held in Lambeth Deanery at 7 pm on Friday 23rd February 2018 and is by invitation by Fr Richard Reid only. 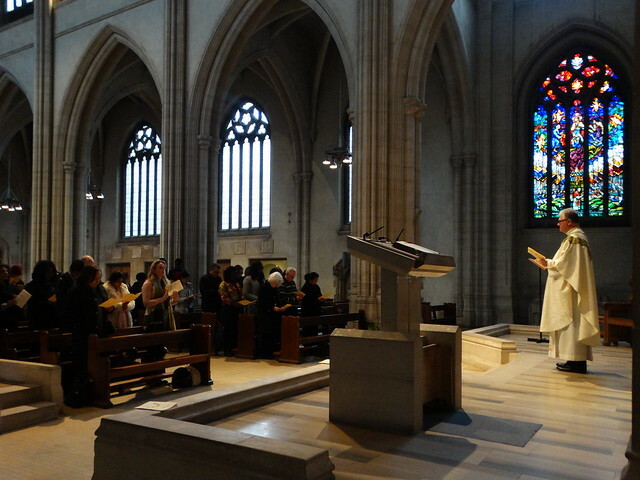 However, Father Mulligan would like to encourage each of our 20 Southwark Deaneries to hold a similar familiarisation events for delegates by the end of this July. The key aim will be to enable and equip those participating from parishes in order to maximise the legacy of the National Congress at a local level in due course. For further information please see the Adoremus link to the left hand side of this page. 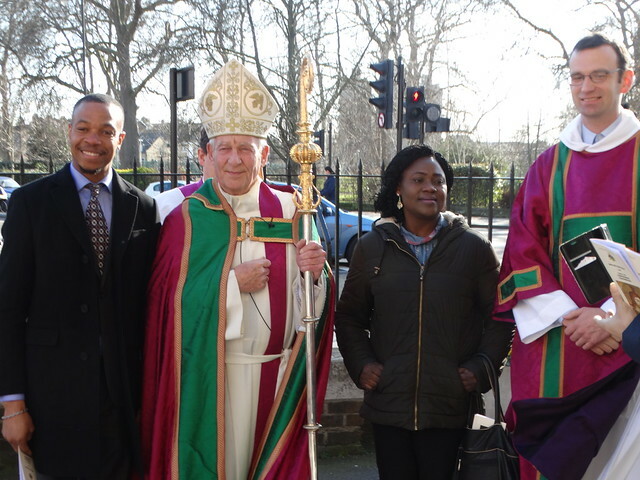 Archbishop Peter has written a Pastoral Letter to be read on the Sunday before Ash Wednesday 2018, the Sixth Sunday of Ordinary Time - Sunday 11th February 2018.
grow still more in the life of the Spirit. It’s a task which requires courage and effort. 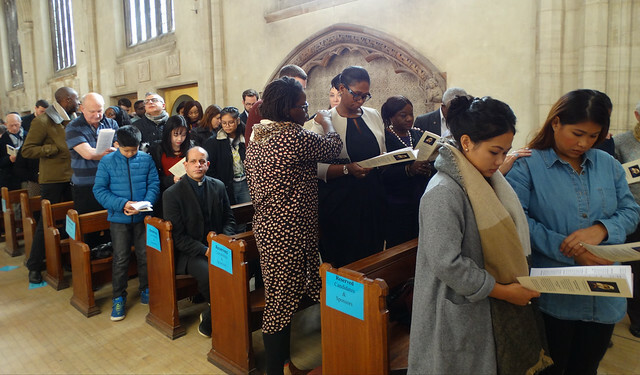 We are asked to open our hearts, through prayer, fasting and almsgiving, and to receive once again the gift of God’s love and mercy, allowing him to renew our lives so that we witness to the Good News of God’s love, mercy and compassion, especially to the poor and needy. 6pm Tuesday 20th February, St Andrew's Thornton Heath. 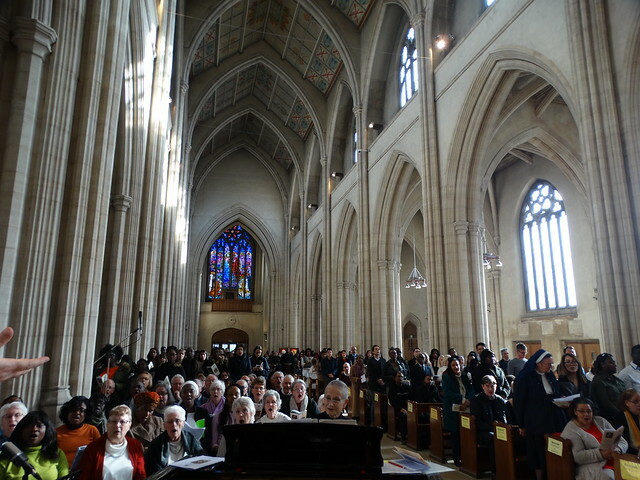 12noon Wednesday 21st February, St Andrew's Thornton Heath. 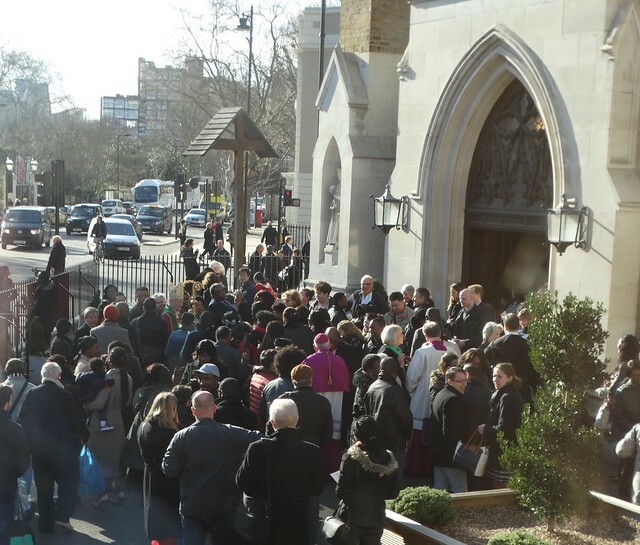 On Thursday 8th of February at the Centre for Catholic Formation, Rebekah O'Keeffe will be holding a workshop at 6.30 pm, when participants will start to create a piece of art that will represent the prayers and parishioners of the Archdiocese of Southwark. To find out more, view Rebekah's short film. The organisers of Adoremus have made the programme for Congress available. A PDF copy of the current version of the programme can be accessed by clicking here. 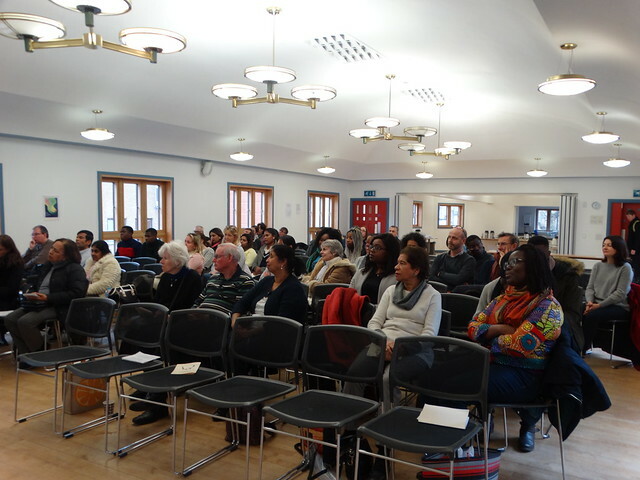 Southwark has initially been allocated 124 delegate places on Friday 7th September, and 570 for Saturday 8th. 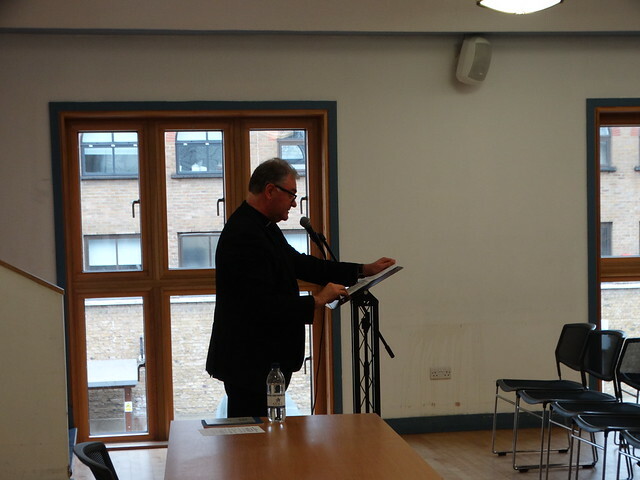 To prepare ourselves for the National Eucharistic Congress in Liverpool this coming September, a range of relevant talks and workshops will be offered in the months leading up to the main event. All parishioners across the Diocese are very welcome to attend, especially those that have been asked by their priest to become involved in order to share the fruits of Adoremus with their parish. 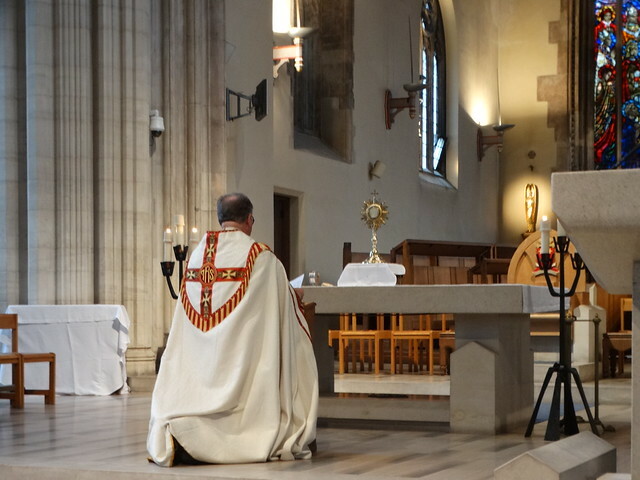 At a time when meditation and mindfulness are popular concepts, how do we bring those thoughts towards embracing God’s call to Eucharistic Adoration, striving to be a people of prayer, discernment, vision and mission? Rebekah O'Keeffe will lead an art workshop focusing on Adoremus on Thursday 8 February at 6.30 pm at the Centre for Catholic Formation. 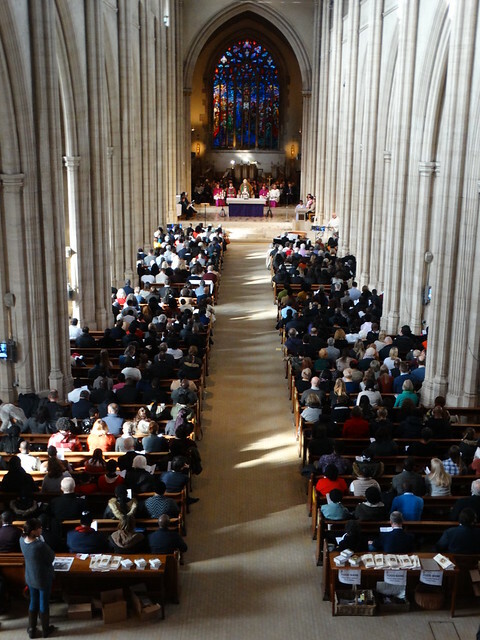 Water is a strong theme in the Diocese of Southwark, with the River Thames and sea forming both boundary and gateway. At this workshop Rebekah will present the idea of ‘A River of Life’, using the Thames as a motif for Southwark. 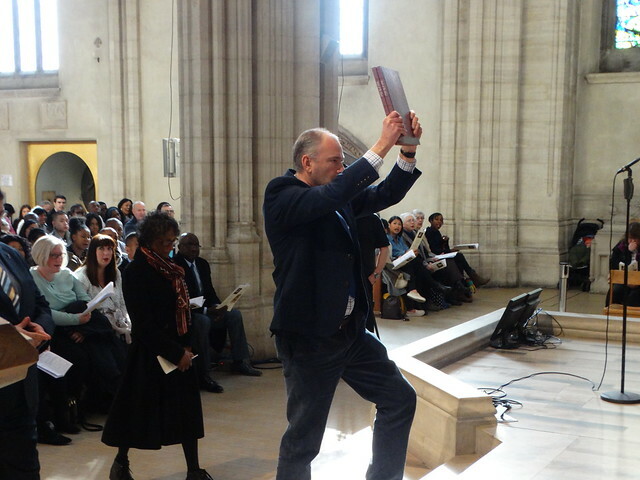 During the workshop, those gathered will begin work on a collaborative image that will represent Southwark Diocese and all who worship here.